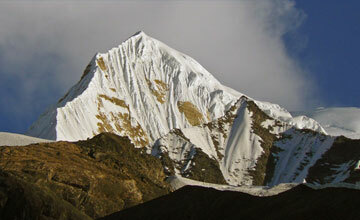 Lobuche peak climbing is one of the popular trekking peaks in Everest region. Lobuche peak expedition offer panoramic Himalayan views of Everest region, beautiful landscape, Tibetan Sherpa culture & Monasteries. 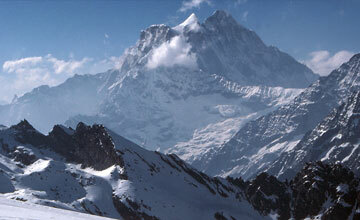 Lobuche peak climbing is challenging trekking peaks in Everest region .The normal route for Lobuche peak expedition is through South Ridge. 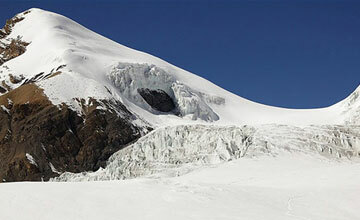 Lobuche east peak consists of several small summits and the true summit requires climbing steep snow and ice slopes to the top from the summit ridge. 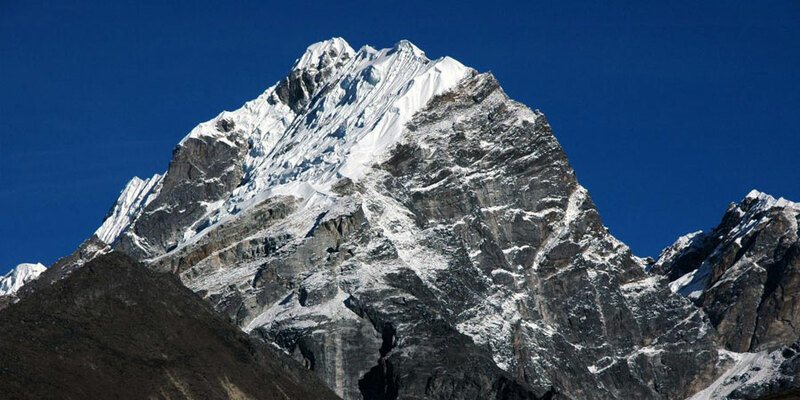 We follow Everest base camp Trekking route up to Pheriche and then trek to Dughla till Mount Everest Base camp for good acclimatization and same way return to Lobuche then Lobuche peak base camp. Himalaya Journey Treks & Expedition’s climbing guide will teach / training at Lobuche peak base camp how to blay / fixed the rope , briefing about ascend the summit of Lobuche peak. 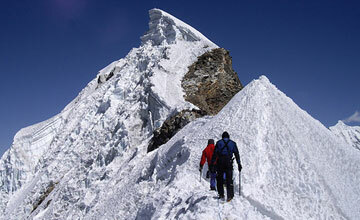 HJT professional climbing Guide frequently take summit of Lobuche peak. 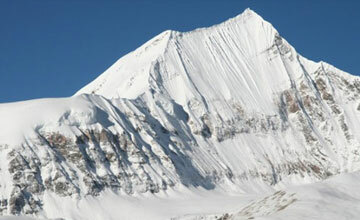 You will follow the sharp snow ridge to the summit ridge. 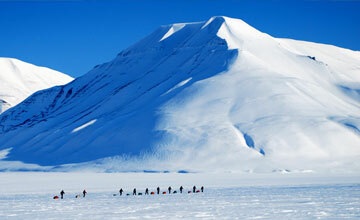 Then we follow the route to north-west towards the main summit passing several small snow bumps and reach a notch. 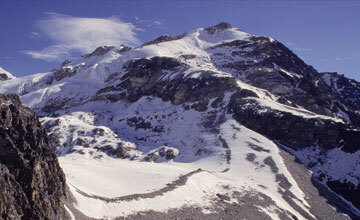 Then we further climb steep and quite difficult snow slopes to the true summit. 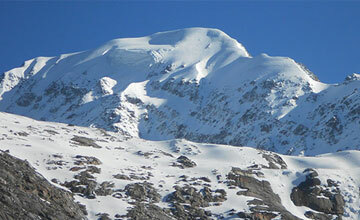 The peak can be climbed from East Face by climbing a dark pyramid of slabby rock and join the South Ridge to get to the summit. 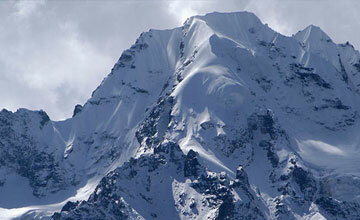 Lobuche peak climbing commence from Luka after 35 minutes mountain flight from Kathmandu. Lobuche peak climbing trip follow through lush valleys, Sherpa village , Namche Bazaar, Tengboche, Pheriche , Lobuche , Gorakshpe to finally Mt. 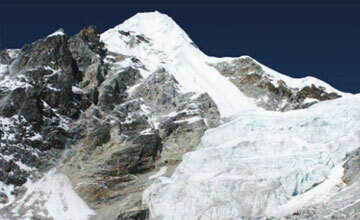 Everest base camp then summit to Lobuche peak. HJT follows to Everest base camp trekking route because of it make good acclimatization and easily reach the Lobuche peak. 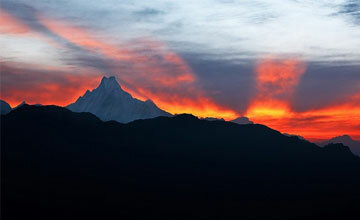 Since Lobuche peak has been open for climbing, Himalaya journey Treks & expedition arrange numerous groups for summit the Lobuche peak with life time experience. March , April , September , October & November are best time climbing Lobuche peak but we Himalaya Journey Trekking arrange as per travelers / mountaineers wish and holiday frame. 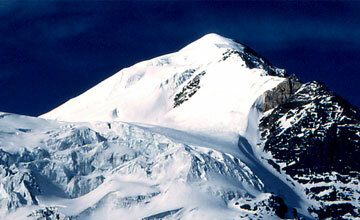 Lobuche peak climbing need good physical fitness and climbing skills too. A Fantastic Himalayan views of Mount Everest 8848m, Mount Lhotse 8516m, Mount Makalu 8463m, Mount Cho Oyu 8201m & other Khumbu region mountain viewed from Lobuche peak summit (6119m). Day 02: After breakfast, free/ leisure time in Kathmandu for shopping/ excursion around Kathmandu valley and preparation for Lobuche peak climbing. Overnight at Kathmandu. 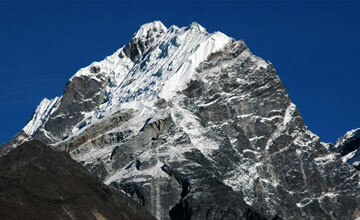 Day 04: Phakding to Namche Bazaar (3446m). walk approximately 5-6 hours. Day 05: Namche Bazaar Rest or acclimatization day. 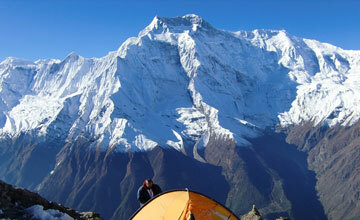 During this day you can hike to Thame Monastery or Everest view hotel for superb Himalayan views including Everest, Lhotse, Nuptse, Amadablam, Thamserku, Kantega, Kusum khangaru,Khumbila,Tawache peak,Cholaste, Kongde etc.overnight at Namche Bazaar. Day 06: Namche Bazaar trek to Tengboche Monastery ( 3867m). 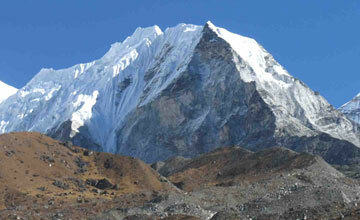 walk approximately 5-6 hours. .
Day 07: Tengboche trek to Dingboche (4347m). 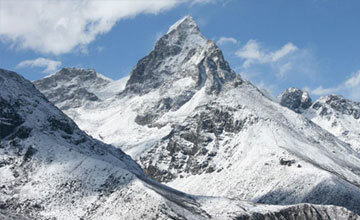 walk approximately 5-6 hours. .
Day 08: Dingboche trek to Lobuche (4900m). walk approximately 5-6 hours. 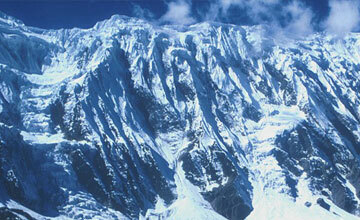 Day 10: Lobuche trek to Lobuche high camp 5357m our climbing guide will teach you how to fixed the rope and climb. Day 11: early in the morning , our climbing guide will take for Lobuche peak (6119m) summit and back to Lobuche peak base camp. walk approximately 6-7 hours Overnight at O/N Tented Camp. 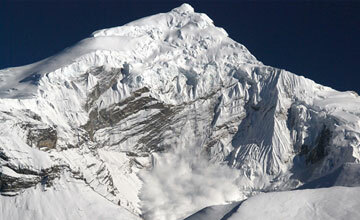 Day 12: If in case of weather is bad than our climbing guide will take to you for re-summit the Lobuche peak , back to island peak base and back to Pheriche (4250m) walk approximately 6-7 hours. 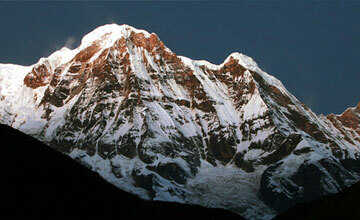 Day 13: Pheriche trek to Phortse village (3890m) walk approximately 5-6 hours. 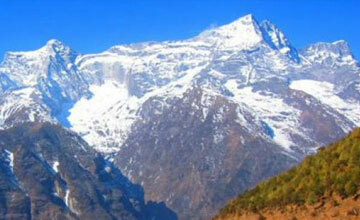 Day 14: Phortse village trek to Namche bazaar walk approximately 5-6 hours. 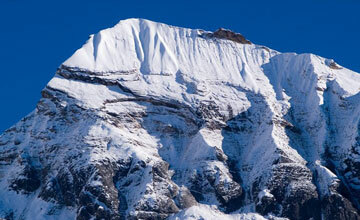 Day 15: Namche bazaar trek to Lukla.walk approximately 6-7 hours. Day 17: After breakfast, our tour guide will take to for historical monuments sightseeing in kathmandu valley such as Boudhhanath : visit Bodhnath Stupa, one of the biggest Buddhist shrines in the world, where we observe Buddhist monks in prayer in the monasteries surrounding the stupa than visit Pashupatinath: the most famous Hindu temple in the country, located on the banks of the holy Bagmati River. Here you see Hindu holy men (sadhus) meditating, pilgrims bathing and occasionally funeral pyres burning on the ghats. Kathmandu durbar square: you will enjoy with different Hindus Temple , Goddes Kumari, legend of kathmadu valley etc and in the evening farewell dinner in Nepalese Restaurant, overnight at kathmandu in Hotel. 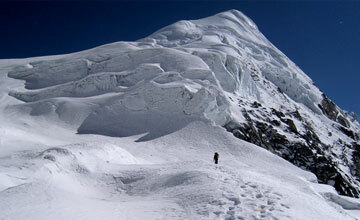 Lobuche peak climbing equipments such as Rope( both main and fixed rope) Snow bar, Snow ice screw etc.